Here is a nice, all original, gambling bead vendor made by Victor Vending. 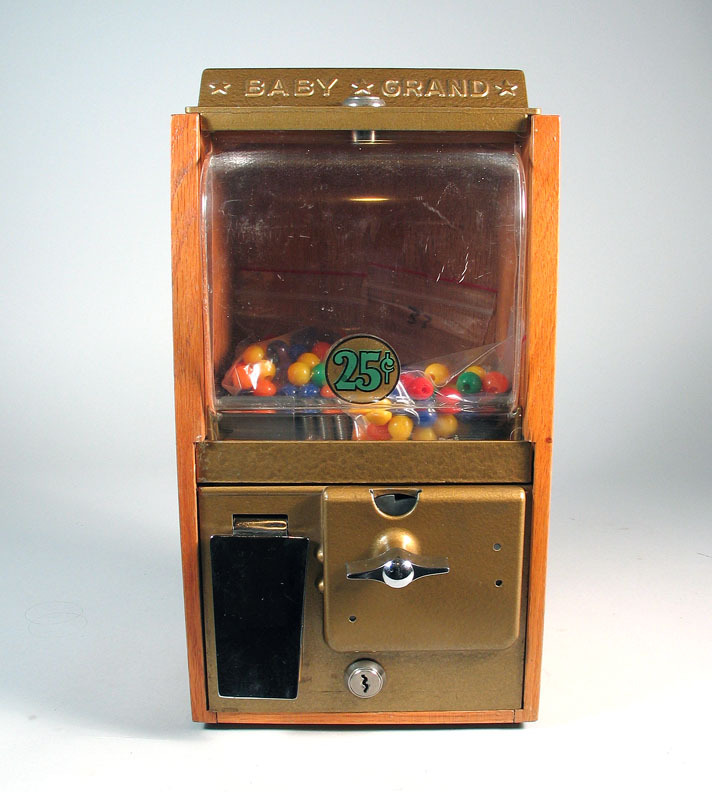 Works on a quarter and dispenses a small plastic bead that usually had some type of paper inside with a possible payout combination. This machine is in excellent original condition with an original plastic front with decal, only the rubber feet and 2 bolts were replaced. Also has two original locks with original Victor keys. Includes approximately 200 of the gambling beads. They are empty but display well. Approximately 14" tall, 7" wide and 7" deep. Shipping costs for machines is based on actual charges determined by packaged weight. Machines with globes are double boxed and insured. Shipping cost by zip code will be provided upon request.